Meeting the demands of customers as a manufacturer, we are engaged in offering PU Lining (Polyurethane Lining). These bowls are manufactured with the help of modern machinery and technology that is installed at our infrastructure facility. Our offered bowls can avail by our clients at industry leading prices in different specifications to suit their requirements. 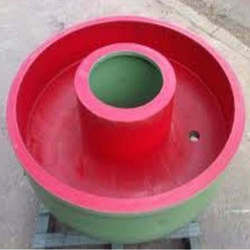 Looking for PolyUrethane Lining on Vibro Bowl ?